I think I've mentioned before that ever since I bought a donut pan, I can make donuts whenever the mood strikes me. And it actually strikes me quite a lot. When I lived in California, there was a donut shop practically everywhere you looked. Sort of like the equivalent of Seattle having a Starbucks on every corner. 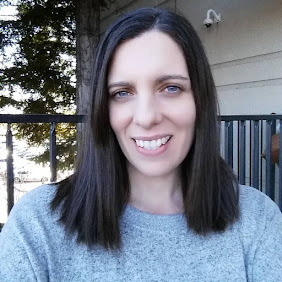 Well, I live across the water from Seattle now, and there are no donut shops around here. Or at least none I have found. So of course that's the perfect reason to start making my own donuts, and my family loves them. They are super easy to whip up on a lazy weekend morning, whenever we have a craving for them. 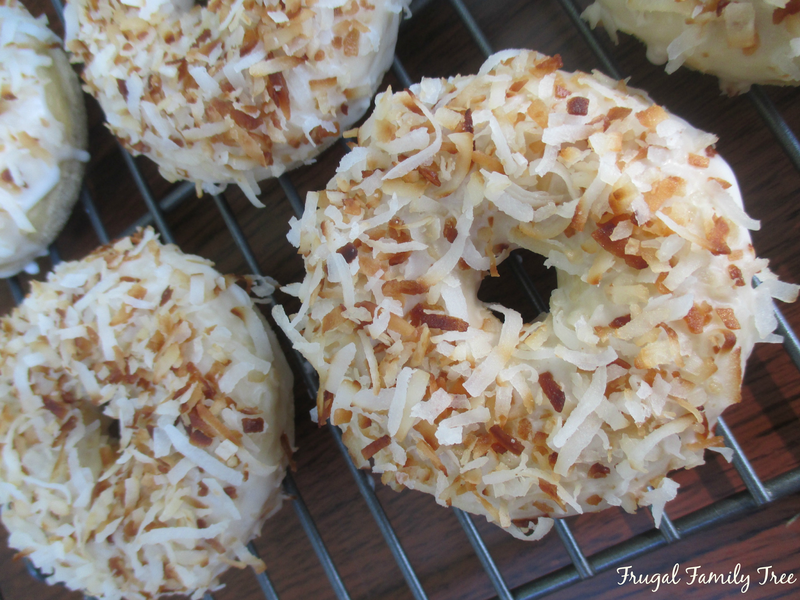 These Toasted Coconut Donuts are pretty fabulous, and if you are a coconut lover like I am, you will especially adore them. This recipe makes a dozen donuts. 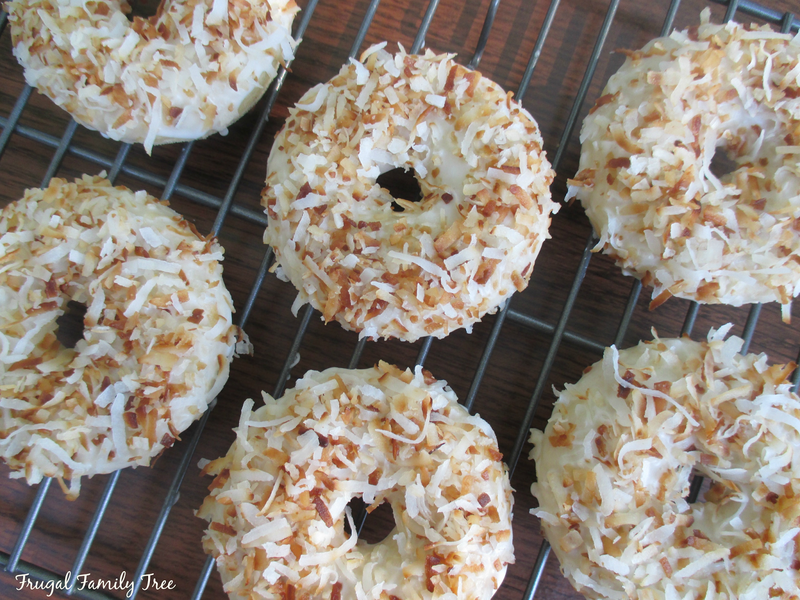 You can make them without toasting the coconut if you are short on time, but they aren't quite the same. That extra five minutes or so that it takes is well worth it. In a medium frying pan, place 1 cup of coconut. On low-medium heat, toss coconut frequently with a spatula. Cook until toasted, about 5 minutes, and do not let coconut burn. Place in a small bowl when done, and set aside. Preheat oven to 325 degrees. Lightly grease a donut pan with cooking spray. Add buttermilk, eggs, coconut extract, and melted butter. Stir to combine. Carefully spoon batter into prepared donut pan, filling 2/3 full. To make the glaze, in a small bowl, combine powdered sugar, coconut extract, and milk. Stir until smooth, adding more tablespoons of milk as needed. Dip cooled donut in to glaze, and set on rack. Sprinkle heavily with toasted coconut. Repeat with remaining donuts.